Kilimanjaro is a dormant volcano located just over the Kenyan border into Tanzania. 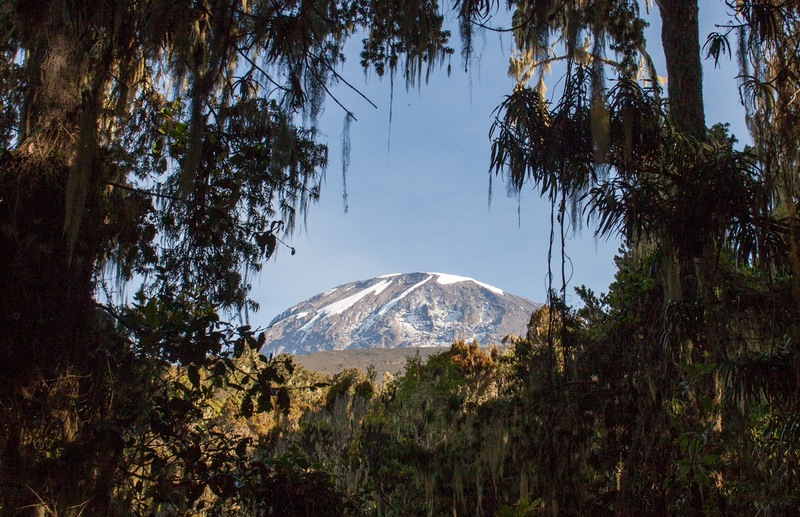 At 19,341 ft elevation at the summit, Kilimanjaro is the highest point in Africa, and is a major climbing destination. 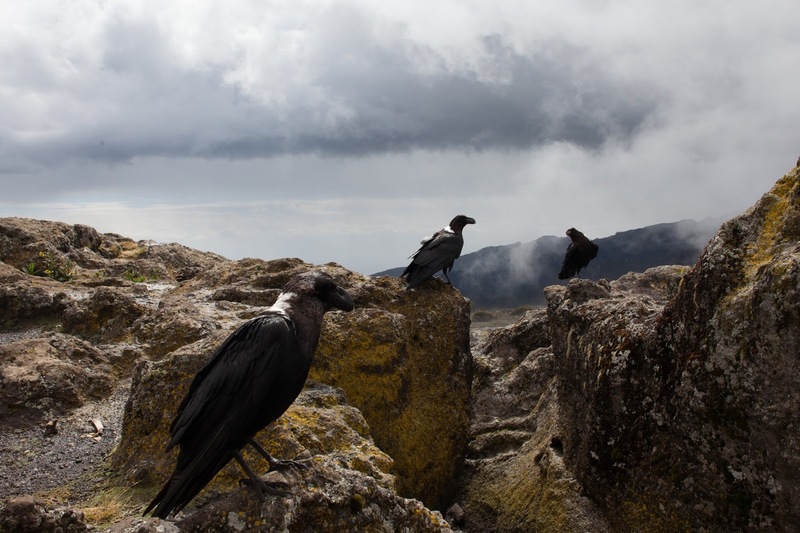 It is fully encompassed in Mt Kilimanjaro National Park, although the only animals you might see are monkeys and birds. The mountain is also listed as one of the seven summits. For Jack and I, it would be the first of the seven summits attempted. As I was researching climbing companies I found out there are many different routes you could take which all eventually lead you to Uhuru Peak. Climbers generally take between 5 and 8 days, depending on the route and their experience level, to reach the peak. I read that around 20,000 people attempt to climb Kili every year, put I'm not sure the percentage of people who make it all the way to the top. The prices also range dramatically between tour operators. There is a per day park fee which is pretty steep, and then whatever the tour operator needs to cover transportation, equipment, guides, cook, porters, food, etc. We chose to go with a small local company called Mar Tours. This company is run out of a tiny office in Moshi by a very nice man name Job. We opted for a nicer hotel to stay in the night before and the night after our climb, which brought the total cost of the expedition to an even $1400 USD. There are other companies that will charge around $4,000USD for almost the exact same treatment. As we climbed we tried to keep an eye out for any differences that might necessitate such a dramatic increase in price and all we could see was that some groups had a portable loo (I guess they didn't want to use the drop toilets at each camp), and some groups got a t-shirt at the end of the climb. So it is something to keep in mind when you are booking your next Kili trip. 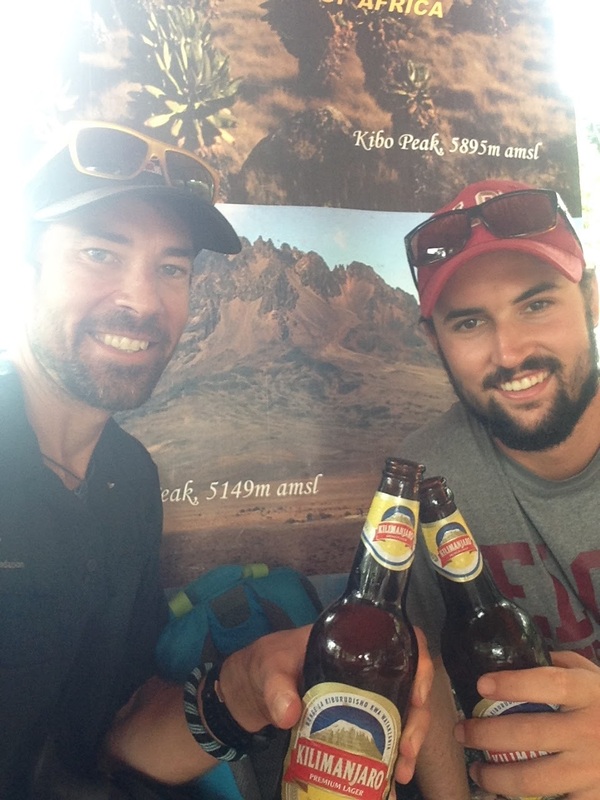 The route we chose was a 4.5 day climb up the popular Machame Route. 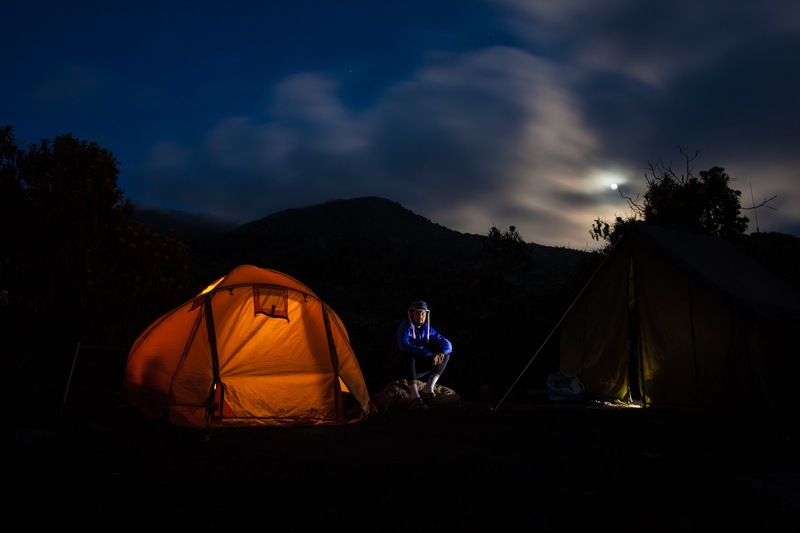 The Machame route is scenically beautiful and varied. Sometimes there can be heavy crowds on this route, but we went at the very beginning of the rainy season which kept most other people away from the mountain. We start out day 1 by driving to Machame village. We picked up some meat from the village, loaded up our team of 8 porters, a cook, a guide and an assistant guide. The climb begins at the end of the tarmac road. 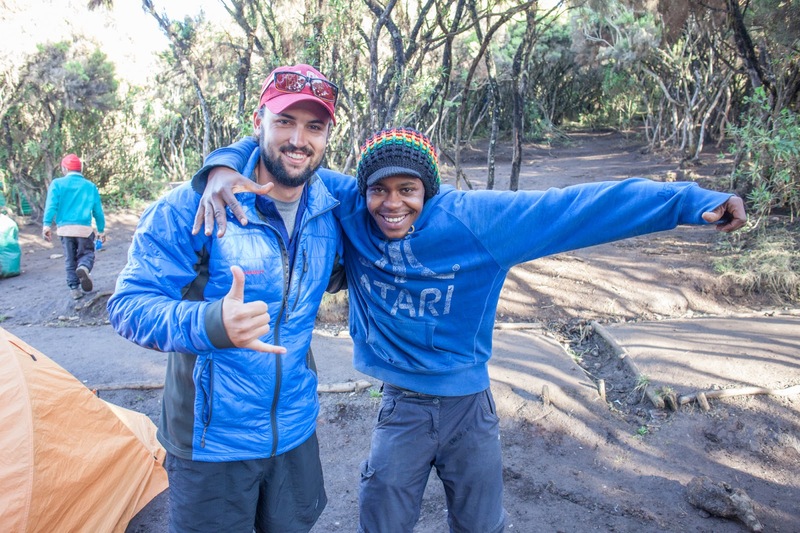 We will end up going through an amazing arrary of different environments on our trek, but we start out by walking through shambas then forest to the Machame hut (10,000ft, about 6 hours). There were beautiful, misty views on the way and we were quite pleased to have no rain at all. It was just Jack and I in the group, and we would walk either with Ramadhan (our guide) or Arnold (our assistant guide.) The cook and all 8 porters would bust ahead to set up camp before we got there. It was pretty amazing to watch them carry all of the tents and other gear on their heads as they practically ran up the trail. We continued along the steep ridge going on to rock ridges and through heather. The route turns west into a river gorge, reaching Shira hut at 12,500ft, 5 hours. On this day our claim to fame was getting to camp before one of our porters. The downside was that it was the porter who was carrying our tent and it was starting to rain when we reached camp. 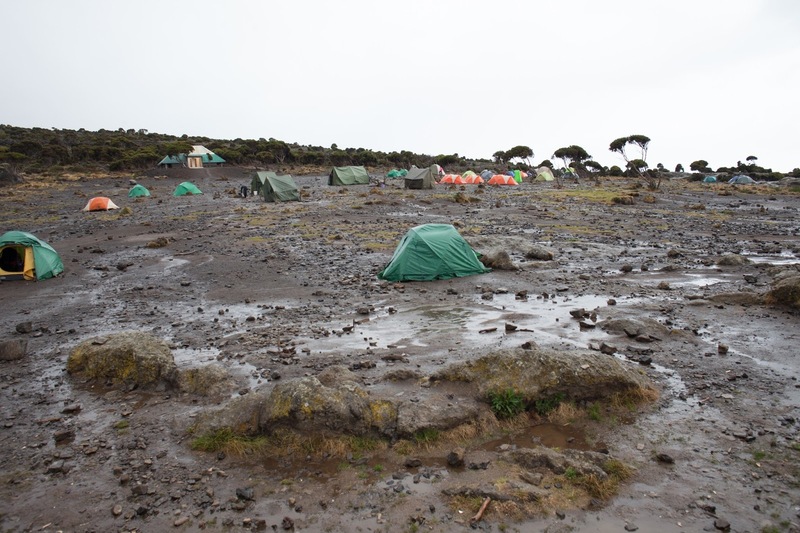 Luckily we were able to jump into one of the porters tents to stay dry until our tent showed up. 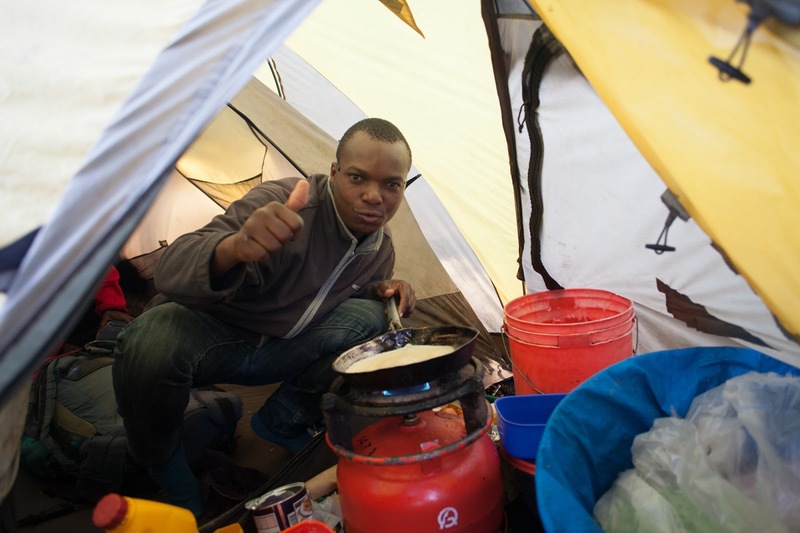 Our cook, Joseph, whipped up incredible meal after meal and we were served in our own 'mess tent' which was quite a treat. The meals usually consisted of a soup, then a huge portion of starch with some meat and vegetables. We always had hot water to mix with either tea, coffee, or drinking chocolate. And they would boil water which would purify our drinking water for the next day. I didn't add any extra purification but Jack did. Neither of us seemed to have any ill effects from the water on the trail. We continued east towards Kibo passing the junction, then east towards the Lava Tower (16,000ft). This is where we had a picnic lunch, ducking into some of the caves in order to avoid the hail. Shortly after this, we descended to Barranco hut (13,000ft, 4 hours). This is when I first started feeling a bit of altitude sickness. Nothing too bad, just a loss of appetite and a small headache which made sleeping difficult. I woke up in the morning refreshed and hungry and ready for another day getting closer to the peak. A short scramble to the top of the Great Barranco and then a traverse over scree and ridges to the Karanga Valley (13,200ft, 3 hours), beneath the icefalls of the Heim, Kersten and Decken Glaciers. Climbing Barranco wall was a great way to start the morning. This is where the porters really put on a show, as they climb the same wall with giant packs on their heads, necks, and backs. 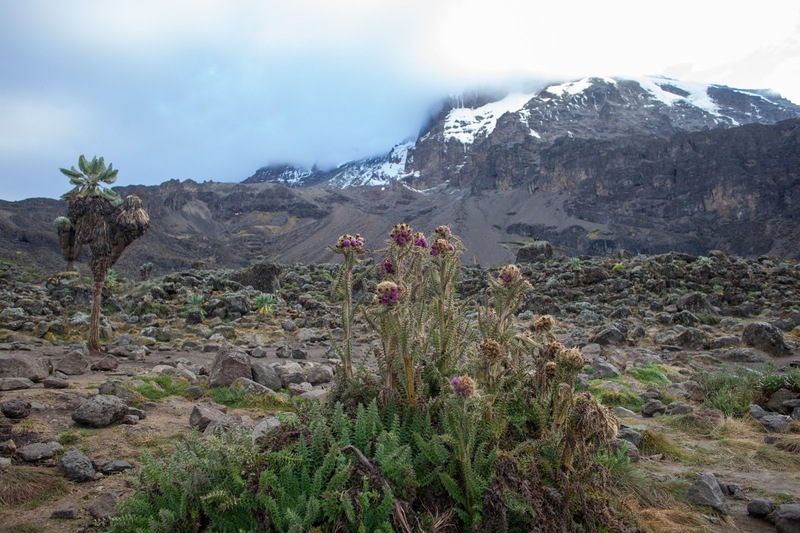 After climbing out of the Karanga Valley the trail ascends a ridge to the Barafu Hut, a bleak location with little vegetation at 15,000ft, (3 hours walking). 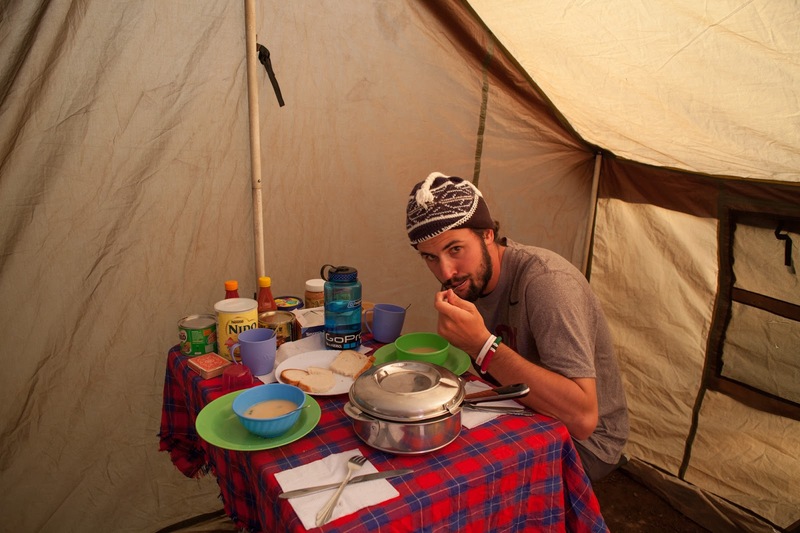 Barafu Hut is our base camp, and at 15,000ft I was feeling the full effect of altitude sickness. But I was mentally prepared and ready for our 11pm wakeup call to start our summit attempt. An early start for the ascent to the rim of the Kibo Crater between the Rebmann and Ratzel Glaciers, (4 hours); the last section before the rim can sometimes be snow-covered and an ice-axe or ski stick is useful for balance. We used trekking poles the entire climb which I feel helped out tremendously. From here a further hour leads to Uhuru Peak, from where there are often fine views of Meru to the west and the jagged peak of Mawenzi to the east. We scored with a beautiful summit morning. Our views were clear, we had no sleet, ice, or snow, and we were the second group to make it up to the summit. The ascent was by far the most difficult trekking I have ever done. The altitude and lack of oxygen really tricks your body into thinking that it just can't go on, even though your legs still feel good and powerful. With perseverance and Ramadhan constantly pushing us onward we were able to reach Uhuru peak around 5:30am. Shortly after 6 the sun peaked above the horizon and gave us a beautiful sunrise over the melting glaciers of Kilimanjaro. 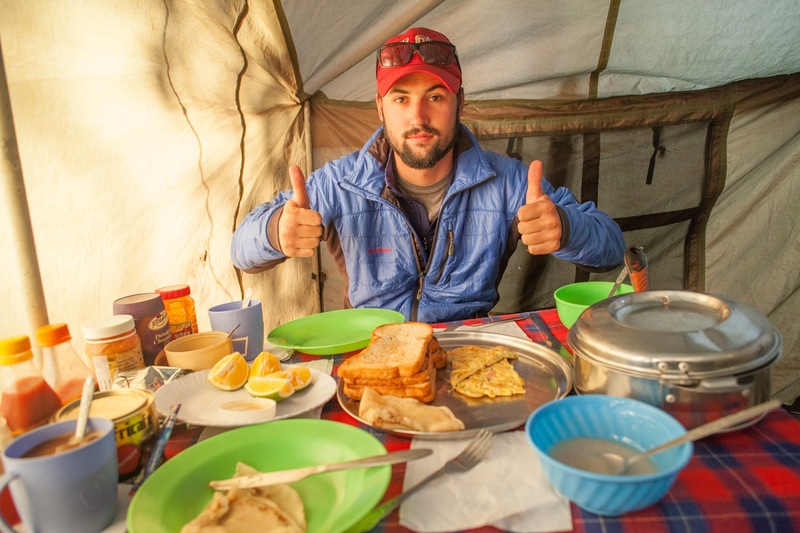 Then we descended back to the Barafu Hut for a rest and lunch before continuing on down to camp at Mweka Hut in the giant heather zone on the forest edge. Sliding down the steep, skree filled trail really put into perspective what we had climbed in the early morning hours. It was quite steep and loose. I was pretty excited at this point to start heading down out of the upper altitude zones so I could start feeling back to normal. At the end of the day I had thrown up three times but that had not stopped me from reaching Uhuru peak and my goal. A 2.5 hour descent through beautiful forest brings us back to the Park gate. Here we picked up our transport back to our hotel but not before receiving our Kilimanjaro certificates and sharing a toast to our accomplishment with some nice, cold Kilimanjaro beers. The descent was actually much tougher on our legs than the ascent. I thought we took it at a pretty amazing pace, although the porters would still blow by us and have camp ready when we got there. Now we were both ready for a little rest and relaxation on Zanzibar and a nice hot shower....or two.